Looking to drive the hottest Ford around town but don't want to break your wallet? All Star Ford can help you buy a used Ford Mustang for a cheaper price and with the same quality features! Located at 17742 Airline Highway, All Star Ford Lincoln in Prairieville serves Baton Rouge, Gonzales, Geismar, Saint Amant, New Orleans, Thibodaux, and Morgan City. 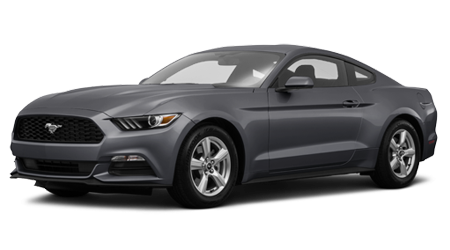 If you're looking for a certified pre-owned car, the Ford Mustang is a great car to help you stand out from the rest! The Ford Mustang has a 300HP 2.3L Ecoboost engine. Features of the Mustang include 18" wheels, auto headlamps, dual exhaust system, LED FOD Lamps, integrated blind spot mirrors, 4.2" LCD screen, cruise control, and dual illuminated vanity mirrors. All Star Ford Lincoln offers amazing benefits with Certified Pre-owned cars. Each car must undergo a 172-point vehicle inspection and recondition. Cars also have a full vehicle history report from CARFAX. Certified Pre-Owned cars also come with a 12-month / 12,000 mile comprehensive limited warranty coverage, seven-year / 100,000 mile powertrain limited warranty coverage, and rental car coverage. If you're looking for financing for your Mustang then check out All Star Ford Credit Center. Simply fill out an application and let the staff handle the rest of the magic as you go home with your used Ford! A used Mustang is the greatest thing since sliced bread; it’s affordable, thrilling, reliable, and awesome looking to boot! At All Star Ford Lincoln, shoppers from Baton Rouge, Gonzales, Geismar, Saint Amant, New Orleans, Thibodaux, and Morgan City, LA come to find their next dream vehicles at great prices.